Join the Green Team, the BAC’s student sustainability team, in the inaugural LEED GA Workshop on Saturday April 8th! LEED is one of the world’s most ubiquitous “green-building certification programs” within the design and architecture professions. Over the years, USGBC, United States Green Building Council, have used LEED to help developers and the design profession advocate for creating buildings and neighborhoods that have a smaller ecological footprint. USGBC has constructed a series of LEED categories tailored towards specific types of construction and renovation. Becoming a LEED GA, Green Associate, is the first required step to becoming an expert in one of the LEED systems. 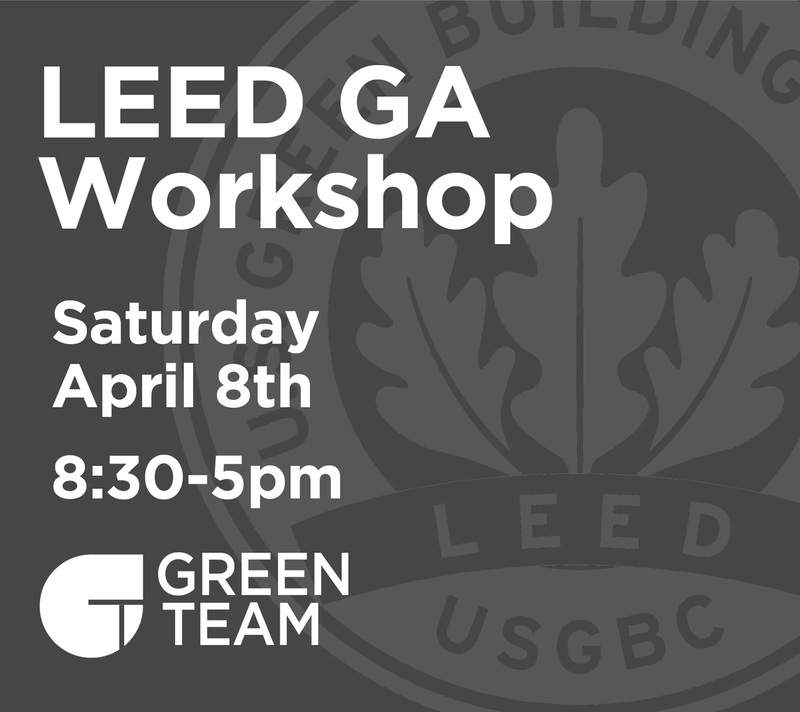 This workshop will prepare you for the LEED GA test, it will provide you with the resources needed to further your studies, and it will provide you with a credit for the LEED GA test. The value of the workshop and the test for students is $300, but the Green Team and the Massachusetts chapter of USGBC will be providing this package for $135 for the first 15 BAC students who register! The course is broken into eight, one hour segments and it will be hosted from 8:30am to 5pm in the Beehive in the BAC’s 951 Boylston Street building. All enrolled BAC students are eligible to participate in this workshop. Take advantage of this unique opportunity, and differentiate yourself in the beginning of your career. Further questions can be directed to the Green Team GreenTeam@the-bac.edu, or you can meet with the Jonathan Cave, President of the Green Team, in the Loft on Wednesday 22nd and Wednesday 29th from 6:45-7:15pm for a Q&A. Coffee and snacks will be provided.